Donations are being sought for the 8th annual Guthrie High School Prom Dress Giveaway, April 3-4. 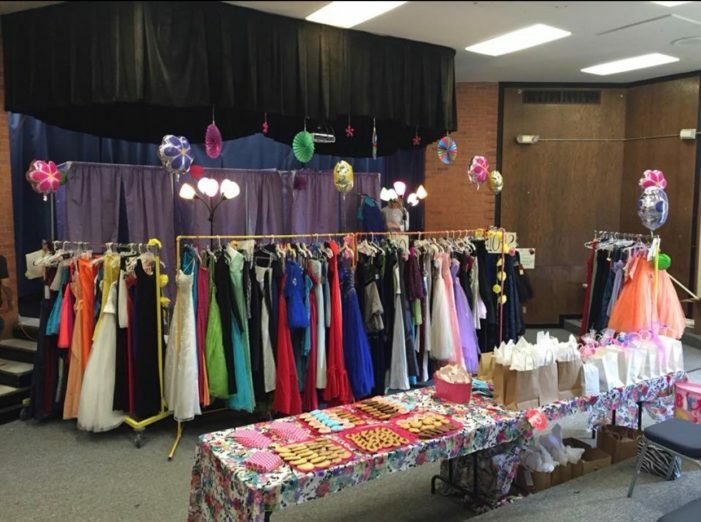 New or gently worn dresses in the current fashion, as well as monetary donations are being accepted, according to Amy Cornwell, one of the organizers of the event. The group also accepts donations of jewelry and gently worn shoes. Approximately 400 dresses have been given or loaned to girls at GHS since the events inception in 2011, Cornwell said. Each year local businesses have also donated tanning packages, manicures and hair styling which are drawn for during the event. Each girl who visits the Giveaway, held at the GHS Little Theater receive gifts donated by the women who organize the event each year. To make a donation or for more information, please contact Dana Curtin at dgcurtin@att.net or Guthrie High School. Dresses or monetary donations may also be dropped off at Gateway Realty (Dawna Elmore) 301 S. Division.